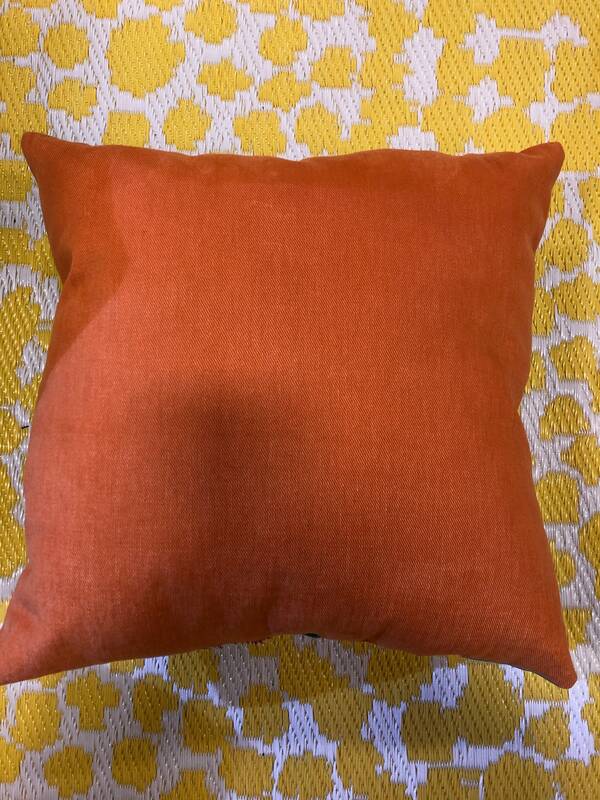 This beautiful indoor/ outdoor pillow has a sunbrella type fabric with koi fish on the front. This fabric has orange, teal and white in it. The back is an orange cotton blend. The fill is a polly fill which is hypoallergenic. This would make a fantastic addition to any home decor.